Work order management software can sometimes do the whole job of streamlining your work order workflows, but when you need something more robust, CMMS has your back. CMMS preventive maintenance tools can help make sure that scheduling and completing asset maintenance gets done easily and quickly in addition to offering other capabilities. Preventative maintenance systems help companies essentially visualize and automate work order processes, as well as handles maintenance tracking throughout the maintenance request cycle. They help leadership track maintenance history and activities, as well as assign tasks to individual employees. This improves internal communication and reduces the need for micromanagement of technicians. Most preventive maintenance software offer role-based access to work orders, allowing only authorized users to mark them as complete. Maintenance software lets users create work order templates so engineers and planners creating work orders can communicate task information in an efficient, effective way. Preventive systems also make it easy to see at a glance what’s been done and what still needs to be done with overviews of work order progress. Over the long term, businesses will want reports that show when and how maintenance tasks were done, as well as why they were done for individual assets. Detailed reports help provide context for preventive maintenance activities and show a birds-eye view of how the business is being run. Comprehensive CMMS tools can help managers set up a range of different types of reports. Depending on the system, they can use built-in KPIs like serial numbers and model numbers or input custom qualifiers like manufacturer, warranty and purchase information. This is one actionable benefit of preventive maintenance solutions — businesses can evaluate the maintenance that is done against the specific warranties that provide value for assets. That means if something is subject to a warranty, maintenance staff and everyone else will know right away — it makes a big difference in how to tackle upkeep. This piece from FacilitiesNet shows a process of entering warranty information into your CMMS for use later. For companies with a larger staff, or even a department with more than three or four people, delegation is a major aspect of day-to-day maintenance work. There are schedules to contend with, as well as communications that have to happen between the technician and the employee who opened the work order. With a CMMS, individual workers can have different task workloads or be assigned to territories in a building or business campus with ease. CMMS helps automate this delegation and prevents redundancy. It offers options to create a visual system that helps individual workers stay on task, because they’ll know what they are expected to do on a given day. They won’t duplicate someone else’s efforts, because they’ll see what’s already been done in the system. Directing work delegation is one of the most important types of work CMMS systems do for businesses. Mobile access is a key component of CMMS for facilitating work delegation. Delays that occur when users have to wait to receive work orders or parts can be mitigated by allowing access to the system from a huge range of devices. Employees can open work orders anywhere, at any time, and technicians can access and complete them on the go as the system delivers real-time updates. Most pieces of equipment have a developed timeline to keep track of when maintenance workers need to service them. Whether it’s a vehicle, a mechanical assembly on a work floor or some other business asset, maintenance will often take the form of routine. This can range from occasional work such as parts replacement, inspection and/or repair to more frequent tasks like tune-ups. What preventive maintenance systems do is make all of these processes transparent, to show they are being done consistently and universally across the business footprint. With CMMS, nothing falls through the cracks — everything gets done by the same timeline, to make sure assets are conditioned and maintained to the same standard. Also, many of these tools are customized for a particular client to make sure they fit operations well. Users can take preventative maintenance software a step further and order it to auto-schedule predictive maintenance checks at designated intervals. Your CMMS can even customize these schedules by equipment priority, maintenance protocol or production cycles. This ensures consistent monitoring of all assets and prevents human error. Assets are the foundation of an organization’s function, and both EAM and CMMS offer comprehensive asset management capabilities. Asset management modules include asset monitoring and tracking — this can range from live video feeds of physical assets to GPS fleet tracking. Sometimes called asset lifecycle monitoring or ALM, this preventative maintenance feature allows users to track asset utilization, performance and costs so users can better optimize asset performance. Users can also create warranty records directly within the system to ensure compliance and peak asset performance. Another element of asset management that CMMS focuses on is particularly useful: depreciation methods. Let’s break that down a little bit. There are four main ways an asset’s depreciation in value can be measured: straight line, sum of years digits, units of production and double declining balance. Straight line is the simplest, where the expense amount remains constant over the asset’s lifecycle. For every year the asset is operational, it decreases the same amount until you have spent as much maintaining or operating it as it is worth. 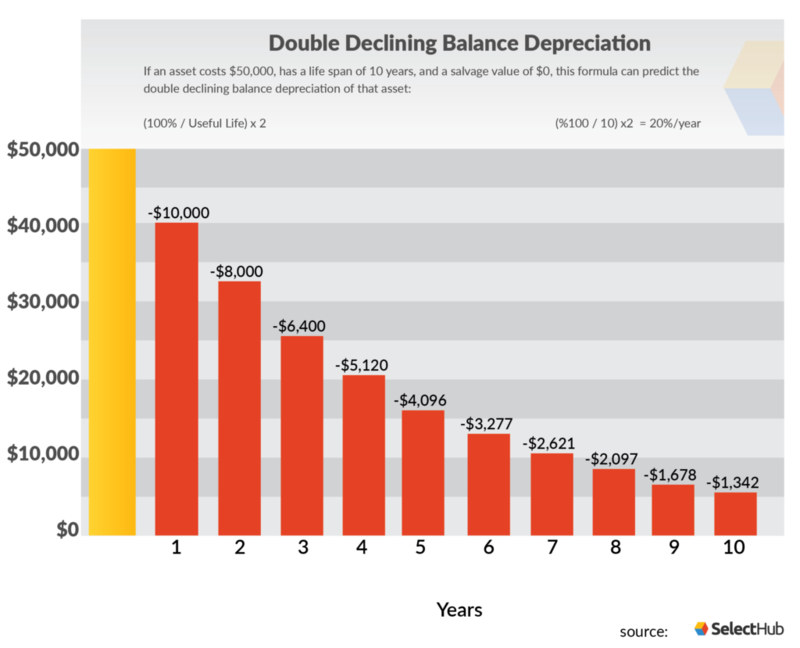 Double declining depreciation occurs when there are larger expenses early on in an asset’s lifecycle, and then expenses peter off later. Assets that are more productive early in life like a tow truck can be tracked using this method so organizations pay for their original cost in chunks while the asset is still producing well, rather than all at once or spread evenly over time. 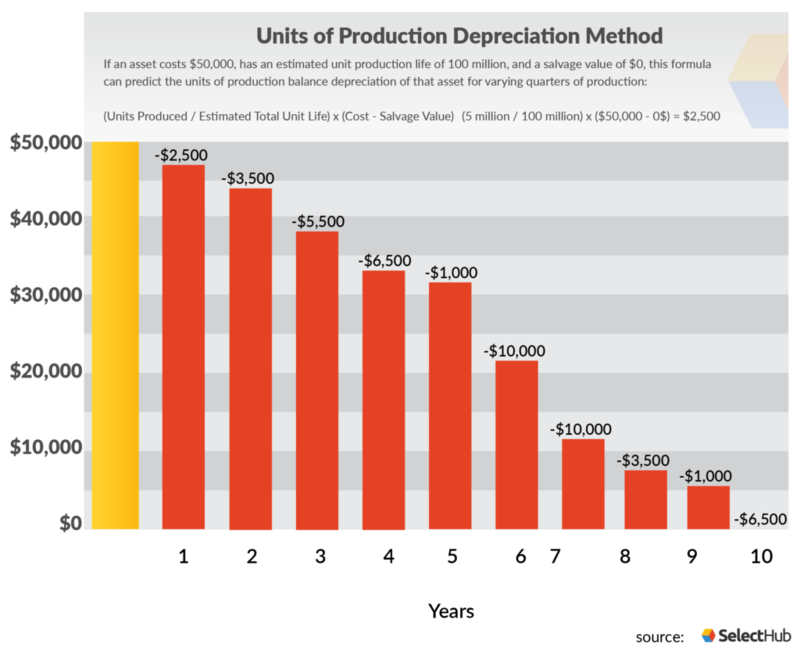 Units of production depreciation varies based on the production of an asset. If 13 million units are produced one quarter on a machine with a 100 million unit estimated lifespan, the value will depreciate more rapidly than during a quarter when only 6 million are produced. Sum-of-the-years-digits depreciation is similar to double declining method where a higher expense occurs in the early years of an asset’s life than in later years. This method uses the estimated remaining useful lifespan of an asset to calculate how much value is lost each consecutive year. Keeping track of the depreciation rate of each asset can be challenging without a sophisticated system to input formulas into. Luckily, CMMS will do the hard work for you, both tracking and estimating depreciation of your assets. Your assets aren’t the only things that will thank you for utilizing preventive maintenance — so will your legal team! CMMS helps maintain regulatory compliance and make your facility an overall safer place to be. Safety starts with the layout of your facility: CMMS documents asset and equipment locations within a facility and can track location changes, reducing delays or accidents from unexpected changes. A CMMS tracks every kind of maintenance and keeps a detailed record for auditing purposes. If a piece of equipment fails despite being properly maintained, regulatory agencies have no way of knowing that without these records. Plus, you won’t have to go dig through a file cabinet to access this information: generating reports for audits and inspections is easy with a CMMS. Your employees also benefit from the implementation of CMMS. Management can easily track health and safety information via CMMS, reducing the amount of paperwork that needs to be filled out or stored. CMMS software can also keep your employees safer by streamlining training activities, storing training documentation and ensuring there are no gaps in safety standards. This feature may not seem like it has anything to do with predictive or preventive functionality, but hear me out. Typically, a procurement manager or team is in charge of the purchasing for any organization — that doesn’t change with the use of a CMMS. What does change is the ease with which your purchasing team can operate. With CMMS, users can create purchase requisitions directly within the system, reducing the need for external communications, emails or phone calls.  This cuts miscommunications down significantly and streamlines the whole process. One of the best things about living in the 2010s is subscriptions and other set-it-and-forget-it services. CMMS translates that to automated reorders. If you have a part you need to replenish consistently, you can use your CMMS to schedule reorders, saving you time and money. Did I mention the system also matches corresponding invoices to individual purchase orders? CMMS tools also help with long-term planning that goes beyond simple preventive maintenance and looks into the future to determine peak performance outcomes. Plus, this can be done on a budget with one of these affordable and free preventive maintenance software options. Leadership teams would do well to adopt a long-term view toward asset maintenance and use. They’re looking at things like depreciation, but they are also looking at the effects work processes have on assets over time. They may be looking at when and how to decommission key pieces of equipment, when to make big purchases, and when to shuffle individual pieces of equipment around in a workspace or throughout a collection of multiple business locations. In this sense, CMMS maintenance software helps with aspects of inventory, as well as ensuring a maintained level of service for assets. It helps the company understand how these items are maintained, but also what value they provide for operations. It even starts to show a clear picture of how a business is running, how it provides core products and services, and which pieces of equipment are most valuable or important to long-term success. Preventive maintenance features of CMMS are useful in a variety of ways, but the way the benefits of preventative maintenance program resources assist enterprise leaders are especially crucial. Through principles of preventive maintenance, companies can be sure that they are competing well in industries that depend on having the best and most well-maintained infrastructure in place. If you want to see how different CMMS vendors compare for these key functions, check out our comparison matrix. What other benefits does CMMS preventive maintenance software provide your organization? Which CMMS, EAM or FM product do you use? Let us know your thoughts in the comments! Preventive maintenance is considered as an important part of a perfect maintenance strategy. A smart manager is the one active in performing regular maintenance activities: from inspecting the areas of risk that may causing breakdown and then setting out a good maintenance plan, keeping track of all work orders to assessing the overall results of preventive maintenance strategy. Using IT benchmark on maintenance may be a modern tendency in maintenance nowadays.